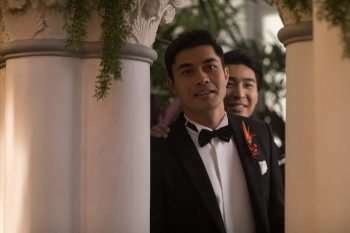 Crazy Rich Asians – It takes in $25 million this weekend and has a worldwide gross of $83 million (on a $30 million budget!). The Meg – To date, it’s grossed over $408 million worldwide. This weekend it takes in $13 million. The Happytime Murders – It’s not a very happy time for these filmmakers with a sub-par $10 million debut. Mission: Impossible Fallout – Tom Cruise flick makes $8 million. Disney’s Christopher Robin – Family film collects $6.3 million. Mile 22 – Mark Wahlberg film underperforms in its second weekend with $6 million. Alpha – Prehistoric dog movie makes $5.6 million. BlacKkKlansman – Spike Lee drama takes in $5.3 million and has collected over $32 million domestically. A.X.L. – Robotic dog movie debuts with $2.9 million. Slender Man – Thriller makes $2.7 million and has grossed over $25 million domestically.